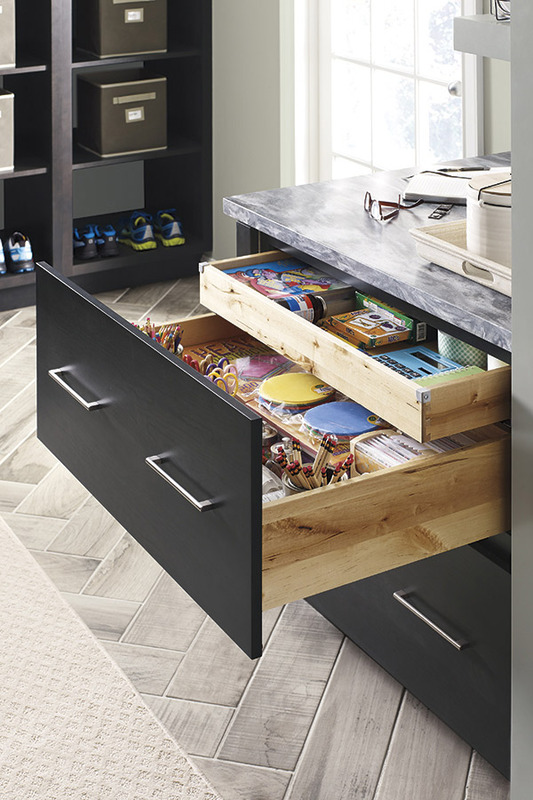 The 10" tall drawers of our Two Drawer Base Cabinet are sturdy and deep so you can store in bulk and search with ease. The roll tray adds additional convenience for keeping smaller items easily accessible. 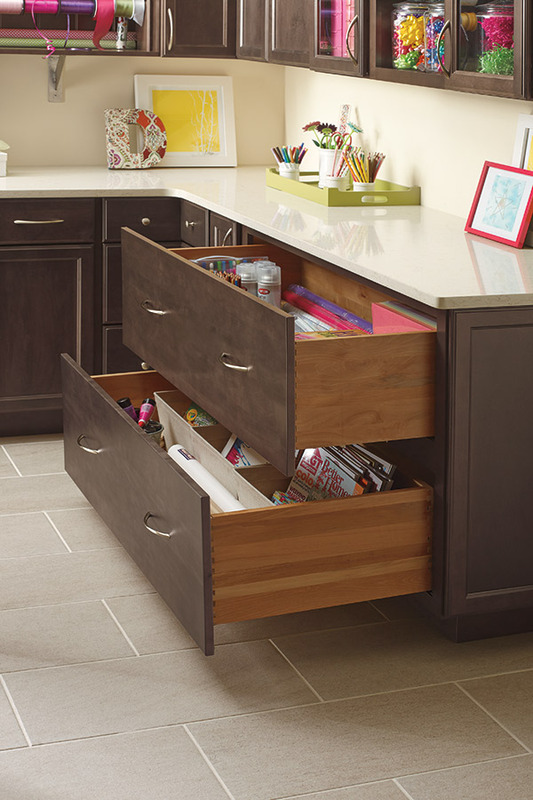 Wide drawers make an excellent choice for creating a streamlined look in contemporary designs.